The global workforce is changing. With a 24-hour news cycle and ever-growing digital platforms, it is no longer viable for an organization to succeed without strategic communication strategies in place. From those in the corner office to those with boots on the ground, transparency and communication are mission critical. WBD understands the importance of building relationships with employees, traditional and non-traditional media outlets, stakeholders, and government offices; and we’re here to help you do it. WBD has partnered with Waggl, a premium workforce pulsing tool, to redefine how organizations communicate and engage with their employees. 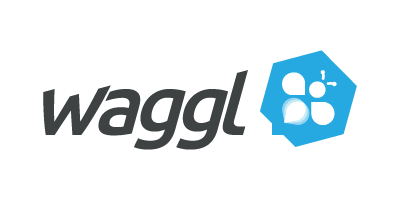 Waggl taps into your culture at all levels and is a simple, yet powerful, tool to engage, motivate, and communicate with your workforce. Our analysts meticulously evaluate responses to craft a thorough plan of action. In collaboration with Waggl, WBD has successfully identified the deepest challenges that our clients’ workforces face and integrated them into agile communication solutions.